CittaSlow | Pollica, Vivere Mediterraneo. The municipality of Pollica participates in the International Movement Cittaslow (link to the charter of the Slow Cities). The “Cities of Good Living”, founded in 1999 and inspired by the Slow Food principles. Slow Living is a new concept of living, producing, consuming, telling outside experiences. The values, the wisdoms, the art and the sciences of small centers, of the lands considered marginal, of the provinces and suburbs of the world that, thanks to the network, are centered. The Slow Cities are committed to promoting the values of Slow food, an association founded in 1989 in Paris by Carlo Petrini, for “the defense of the quiet, and slow material pleasure against the universal madness of Fast Life”, involving more than 80,000 people in 130 countries of the world. 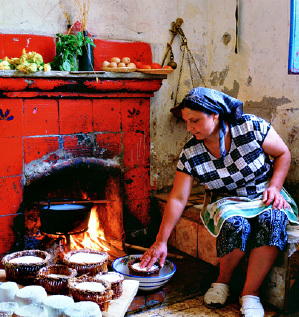 Slow Food promotes the right to the pleasure of the table and studies, defends and discloses the local agricultural traditions and food and wine, re- educates the senses dozed to taste and taste, allows consumers “educated” to direct the quality-gastronomic, environmental, social-productive choices. It also defends the biodiversity, the rights of the peoples to food sovereignty and fights against the approval of flavors, massive agriculture, genetic manipulations. Cittaslow, in an increasingly global world, knows the importance of “territorial”, understood as root, history and experience of every place, therefore, the only antidote against the disorientation of residents and visitors to the increasingly globalized, territorial “not places” of the world, all homogeneous or similar, to offer, instead, authenticity and uniqueness. The Slow City philosophy is a eulogy to slowness, as opposed to the deleterious effects of speed at any cost, in the name of life models and societies made of “slow qualities”, which in the administrations and in the citizenships contribute to creating liveability, protecting and safeguarding the environment and cultural heritage, enhancing the typical productions, supporting the reception, hospitality and services , but above all, to study and enhance the profound identity of a land to improve the overall system and to determine its rebirth.